When having a small business is usually recommended to work with all kinds of consultants, because it’s time-saving and you can keep doing what actually concerns your object of activity. Now, most small companies are about the hands-on involvement of the owners. And having to deal with all sorts of unrelated activities may be time consuming and unproductive, such as deciding who to hire, bookkeeping and many other that can be outsourced to professionals. You might consider it a little expensive, but it compensates in time by letting you do your job the way you want. Besides, having smart software apps will help you develop your business faster than you’d think. They can help you keep track of everything, personalize your working programs and even have your own e-mail domains. Which will make your business look more professional than by using the evergreen Gmail, Hotmail or Yahoo platform. It’s true, you can as well use Microsoft Office. But they can get a little overwhelmed by the amount of work you have to do. And maybe you’ll need something that works faster and maybe have the autofill setting more advanced. Moreover, you’ll probably need apps that help you sell your products or services, maybe something that helps with customer services or fidelity. All of these are temporary needs as you only have to build them. And then you can use them for as long as you need. There is also the updating issue, which is also temporary and the software companies will help you with maintenance because they are the ones that know best. There are many other benefits but first, there are 2 important questions to be answered. Before anything else, you need to understand what this whole consulting in software is. Many companies in this field only see the providing part of their job and some don’t even know what the client really does. They just provide services and products without doing a little research, asking details and giving their best opinion and advice. Consulting is more about having a dialogue and good effective communication with the client that just selling software. It’s a problem-solving oriented job for which they really need to understand that there is to fix, to develop or to change. The most important issue for them to understand is that you are seeking for a solution rather than for a product or service per say. And they ought to know what the needs of your business are. These 2 pillars are the ones that hold together a consultancy service and the only way your needs will be met. 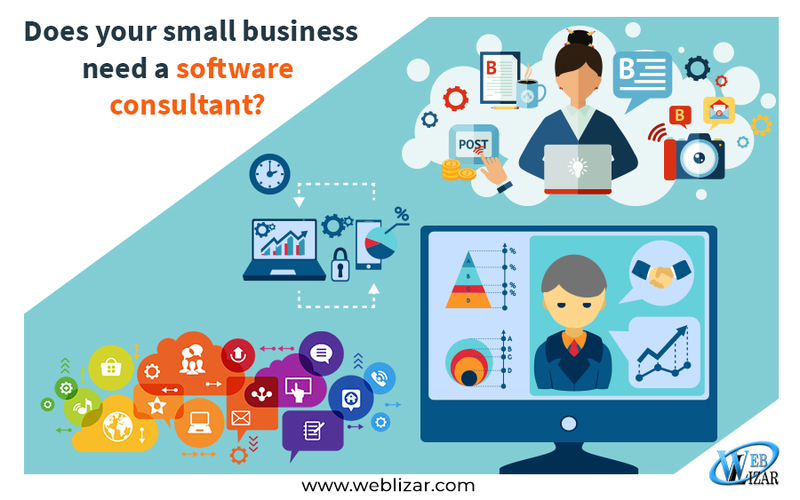 If you turn to a professional software consultant company you will get an accredited opinion. And fitted solutions for your issues and needs. In this case, they will analyze all the options and will propose building together criteria to follow for both parts. However, if it seems too complicated for what your business provides, it is probably not the best choice and it would not fit the needs. Second opinions are always welcome when it comes to the health and resistance of your company. Usually, professional consultancy-oriented firms focus more on specific industries. In order to understand and provide the best products and services they can. Expertise in concrete domains brings more credibility and trust in the eyes of the customer. As it should be since the business area, in general, is defined by being different. Moreover, it also offers targeted solutions based on experience and knowledge. How does it help to improve your business? First of all, every business has its own different needs and seek a custom made solution. Either it’s about human resources or software. As every client requires a different approach, so does your company. And from the perspective of a consultancy firm, the sooner you ask for help, the better. Otherwise, they will have to fix whatever has been damaged or misused. specialized company. They will focus on unique solutions which can speed up the work you. And your employees have to do daily and it is very adaptable to your niche. It might seem a little more expensive than the off the shelf solutions. But putting in balance with the costs you will have if you come to the conclusion it does not meet all the needs of your company. It doesn’t sound that bad anymore. Also, concerning costs, you should take into consideration the benefits and maintenance costs. Another pro on the customized software side is that you can update and upgrade it anytime you want as you are not bound on a general and basic one. communicating efficiently with the consultant(s) will result in software that works the way you want with your ideas and inputs. Because you considered going to a specialist in software consultancy. You won’t have problems with the interface or at least they will be minimal. Moreover, the time spent waiting for the bugs to be fixed will be considerably shorter, because you communicate and report directly with the firm that manages it, so it will be faster than using a ready-made and off-the-shelf software. Besides that, the security level will be higher because your firm is the only one using that specific software. On the plus side, no one can see how it works from the inside if they do not have access to any of your data.